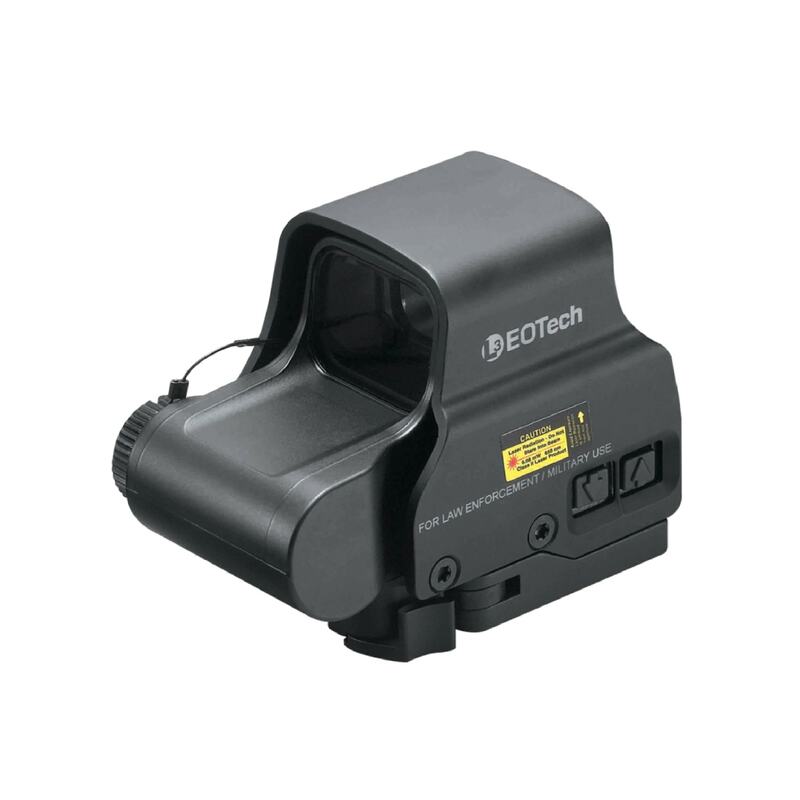 is the shortest model available from EOTech. 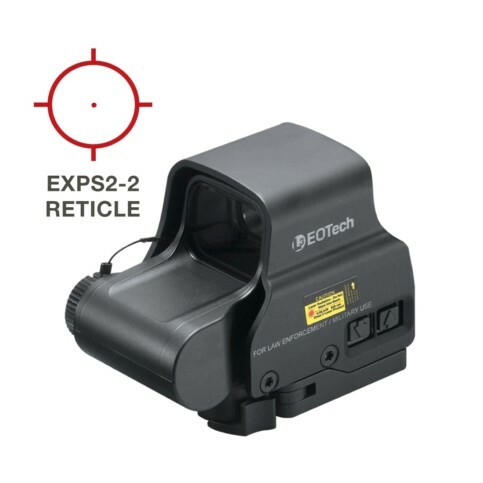 The EXPS2™ offers true 2-eyes-open shooting and provides an unparalleled targeting experience. The all-purpose EXPS2™ features easy-to-adjust side buttons and a quick-detach lever. It has a single transversely-mounted lithium CR123A battery, which provides up to 600 hours of continuous runtime at setting 12. The increased height of the EXPS2™ provides iron sight co-witness access in the lower third of the viewing window. The EXPS2™ leaves tons of rail space available for mounting flip-up iron sights or a magnifier and the integral mount allows for use on either a Weaver or Picatinny-style rail. Whether you’re using the sight for law enforcement or hunting, the EXPS™ series sights are the premier optics in the line. The EOTech EXPS2™ is not compatible with night vision devices. If you like this model but need night vision-compatibility, look at the EXPS3™. may not be exported without proper authorization by the U.S. Department of Commerce. If your normal weapon use is inside 60 yards then this is a suitable red dot sight but one of the most expensive options for a red dot. Anything past 60 yards you’re going to need a magnifier. Add that and you’re at $1000. 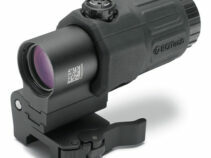 Much better/less expensive options exist for a one piece magnified red dot scope. Using both buttons to shut off this device is very hard to do. Better to just unscrew the battery cap. You do need to apply some non-petro grease to the battery cap threads so you don’t damage them. Storage of the device is best accomplished by removing the battery or at least unscrewing the cap to break contact. Very impressed, simple to zero and the quality of the optic is easily noticed. I’d recommend one to a friend. Took me forever to decide between a Trijicon ACOG or the EXPS2-0 with G33 magnifier. And man was I glad to get the EOTECH EXPS2-0 with the magnifier. Reticle is so crisp and clear. Zeroed once and haven’t touched it since. It is THE perfect sight. I have over 10,000 rounds through my rifle (semi auto and auto) with my EXPS2 mounted on it and I have never had to readjust my zero. I do not abuse my equipment but I do use it and it is still going strong.